Pre-order today by contacting us at help@rxpharmacist.com to get early bird pricing of $89 plus tax and shipping, that’s over 30% off regular pricing! Categories: Courses, Print Study Guides. Tag: NAPLEX. 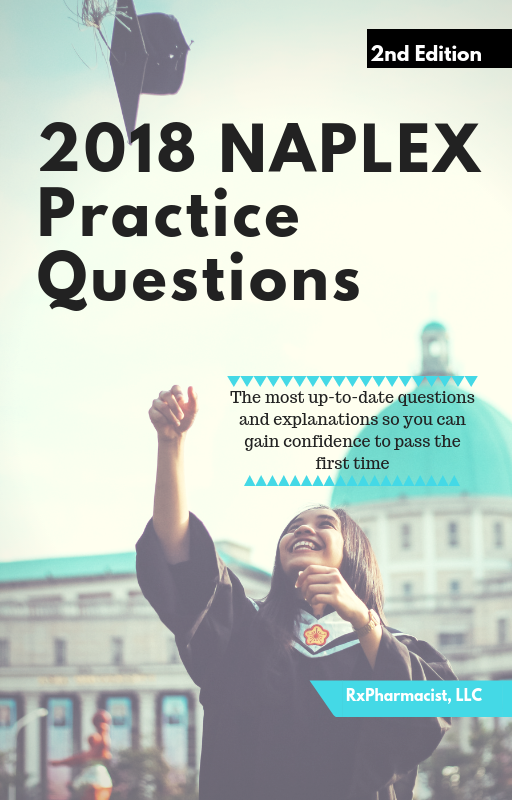 The 2018 NAPLEX® Practice Questions book is the most updated guide on the market! We have ensured to update all materials to reflect the new changes to the NAPLEX® exam. We also provide a brief overview on how to register for the NAPLEX® exam and ensure you are ready for your big day! Don’t waste money on the PRE-NAPLEX, we already include a mock version in this guide and we have answer explanations! Have questions or need help? E-mail us directly at help@rxpharmacist.com.